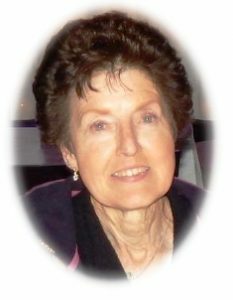 Delores K. Tenpenny, age 78, of County Highway KK, Town of Port Washington, WI passed away Tuesday, September 19, 2017 at Aurora Medical Center in Grafton. She was born on June 25, 1939 in Port Washington; daughter of John N. and Celia L. Zipperer Prom. She grew up on the family farm, attending the local Maple Grove School on Mink Ranch Road and County KK and later St. Mary’s parochial school. Delores graduated from Port Washington High School and took a job with Fromm Laboratories in Cedarburg. On July 11, 1964, Delores married James W. “Jim” Tenpenny of Port Washington. Together they settled just east of the Prom family farm on County KK. For many years, Delores worked at Tecumseh Manufacturing in Grafton, retiring in 2001. She and her family had been members of St. Mary’s parish for many years and an active volunteer at the Food Pantry. An avid walker, Delores could be seen often on her daily walks around County LL. She was an accomplished seamstress, often working for a thank you and a smile. She loved working in her garden, sharing its bounty with family and friends. Canning tomatoes was not a chore, but a valuable process. Busy and on the go with things yet to complete will just have to be left that way. Their summer travels with family in Carter were treasured by all. Her husband Jim preceded her in death on April 12, 2016. Delores is survived by her children Tammy (Garry) Garrison of Jackson and Todd (Carrie) Tenpenny of Saukville; her grandchildren Michael and Bradley Garrison and Kirsten Tenpenny; her brother Donald (Pat) Prom of the town of Port Washington, sister-in-law Jeannie (Terry) Bradley of Fresno and brother-in-law Jerry (Barbara) Tenpenny of Cedarburg; nieces, nephews and friends. She is preceded by her husband Jim, sisters Rosemary Brydon and Bernadine Fritsch, her brothers Robert, Kenneth, James and Gerald Prom and sister-in-law Lois (Donald) Rosewitz. A Funeral Mass will be celebrated at 6PM Tuesday, September 26, 2017 at St. John XXIII Parish-St. Peter of Alcantara Church, 1802 N Wisconsin Street, Port Washington, WI. Reverend Patrick Wendt will be the celebrant. Visitation will take place from 4-5:45PM Tuesday AT CHURCH prior to the Mass. Entombment St. Mary’s Cemetery, Port Washington. Memorials to the Port Washington Food Pantry, 1800 N Wisconsin St., Port Washington or Aurora Cancer clinic are appreciated. Information available at www.poolefh.com or 262/284-4431. POOLE FUNERAL HOME/Crematory, Port Washington assisting the family. Previous Post: Schwartz, Barbara L.
Next Post: Stemper, Mary L.
My condolences to the family. Your loss is ours too. She has been a really good neighbor. I will miss our talks in the yard and seeing her out on the road. My sincere sympathy to the family. May she rest in peace and comfort and be forever in God’s hands. I will be very sad to not have such a fantastic Email friend. Can’t believe she was still writing just a few days ago. She was a very heroic & Christian friend. My prayers are with the whole family. Our thoughts & prayers are with Tammy & Todd’s family & also Don & Pat. caring & giving person I know. We have enjoyed products from her bountiful garden. Todd, Tammy, spouses, and grandchildren. Jerry and I are very sorry for the loss of your mother. No words can heal the pain you are feeling right now. I will see you on Tuesday. Our condolences to All the Tenpenny family. Delores, my Dear Friend, will be sadly missed. Marnie kettenhoven and family.